Do your students love reader's theaters? Then this product might be for you! 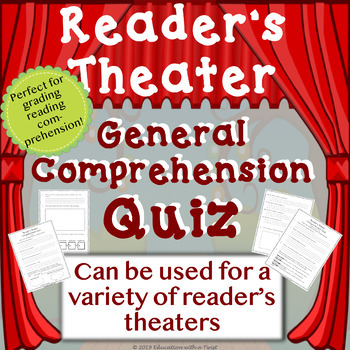 This product can be used for a great variety reader's theaters to keep track of students' reading comprehension skills. This is a quick way to assess reading comprehension abilities. My students love reader's theaters! 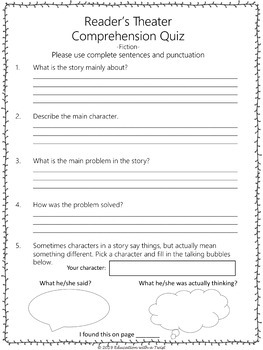 for this reason, I use these comprehension sheets for grading and regular comprehension checks.